My last post is going to be hard to beat. Announcing our news to the world and sharing such a giant moment in our lives was something I was a bit skeptical to do. I was mostly worried about all the unsolicited advice, the judgment, and just feeling overwhelmed with all of it. And then here we are! Seventeen Weeks Preggo!!!!! Living out the pregnancy in secret was fun. I mean no one tells you how shady the first 15 weeks of this whole journey are going to be, but they are shade filled, beyond outer space and back again! We canceled on people left and right because I was so nauseous and well it is hard to want to do just about anything that the first trimester after let’s say 4 pm. When I decided to share this whole chapter of life, I thought let’s just dive head first into it. This blog is a lifestyle blog, and this is our current style situation. Bumping around town and talking all things baby! But I will be honest with you guys. I am in my thirty’s. I didn’t have a clue as to when I wanted to start a family. I felt plenty of pressure from just about everyone everywhere that I had not yet done so. The ever pending questions at the holidays, so do you think you will ever start a family? Or, “You guys just like playing and don’t want responsibility!” and the worst, “Aren’t you getting too old to have kids?” That last one was always my favorite one cut like a knife every time. But our waiting was our decision. My most significant piece of advice through all of this is simple. Don’t let anyone tell you how to live your life. Take what you want from it and do what works for you. It’s your life, after all, and you only get one shot at it. You are the one at home changing the diapers. Remember that! I decided early on that I wanted to enjoy being married, enjoy building a relationship with my husband and making that our first baby. Giving it our time and all the energy we had because those years and those moments are precious, and they have meant so much to me. We have traveled, and we have experienced things that we never knew we would. It has been a wild crazy beautiful ride. Everyone tells you that you will never be ready for kids, but I feel differently. I feel like this is our next act. And it is going to be our biggest. We have no idea what we will be doing, (enter all the baby books on Amazon possibly available) but we are ready for that! This baby is all we talk and think about pretty much twenty-four seven. How we want to parent has been a significant topic of discussion lately. I read baby books to John at night, and I think we have absorbed about 50% percent of it. Nothing like the real thing on the way to test those listening skills! But so many people have reached out to us, and total strangers. In fact, I was walking through the airport on Sunday, and the sweetest woman grabbed me and said, “Congratulations.” I follow you, and I am so happy for the two of you. I turned to show her the bump, and we chatted for a while. I was delirious and looked like a hot mess after 30 hours of travel, but it meant the world to me. Like “wow” this is such a cool and crazy world we live in, isn’t it? And that is what is so magnificent about it all. Total strangers are sharing in our joy and lifting us up. I am beyond blown away by it all. I am not doing everything the right way, but I am trying my hardest to be the best vehicle for comfort and safety for this baby. Eating healthy and taking prenatal vitamins (that make me want to vom) but mostly listening to my body and enjoying this time. The beautiful part of pregnancy is that every single woman is different. Our bodies, our shapes, the way we feel, the way our pregnancies happen, it is all gorgeous. The photo above is of me in Bora Bora, and you can barely see the bump starting! I want to treasure these moments forever. Remember the way I felt right at that moment. I am happy to say that the feelings of wanting to curl into a ball and die have ended! And on an even more positive note, running to the bathroom at night has also come to a halt! I have also gained my energy back! So many hurdles and hoops to jump through and each one a small win. Trust me when people say the second trimester is the “GLORY” period, I can assure you is a wives tale. Being preggo is a blessing and a gift that comes with plenty of challenges not to mention it is EXHAUSTING! Watching your body change is the craziest of all! I have this strange little bump that looks like I had too much Mexican food and when I am wearing regular clothes, you would never know a small pomegranate sized baby is growing there. I am so ready for that real bump so I can explain myself without really explaining! I am excited about that part. Watching John give my belly kisses or talk to our little man in the mornings are some of my most cherished moments of this pregnancy. Yes, it has been hard, but oddly it has been great all at once. So many women have sent me the sweetest messages saying how important this time is and I couldn’t agree more. So 17 weeks! Here we are and so much more to come!!! 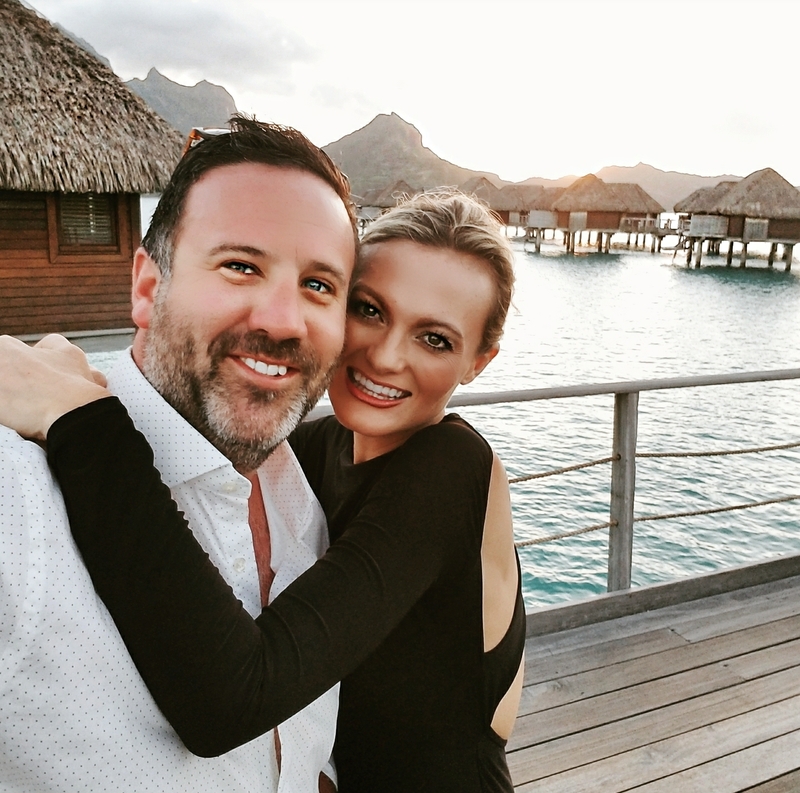 Next Post Bora Bora | Travel Diary – Everything you want to know! I LOVE what you’ve said about waiting with your husband. We also chose to wait almost 10 years into our marriage before starting our family and we’ve loved every minute of being able to work on our relationship and marriage before bringing a little babe into the world. Congratulations again on your little boy! You are going to be the most beautiful and stylish pregnant mama!